Last month, I posted my Halloween mantel. put my Fall mantel back up or come up with a Thanksgiving mantel? 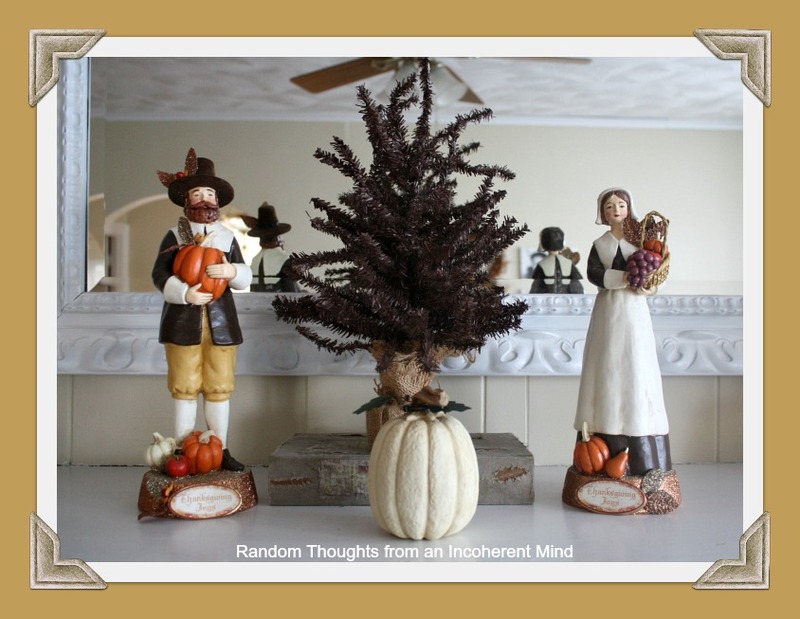 a Thanksgiving mantel it is! Hard to believe, but everything I used, I already had. after Thanksgiving a few years ago. I bought these wooden characters 19 years ago. 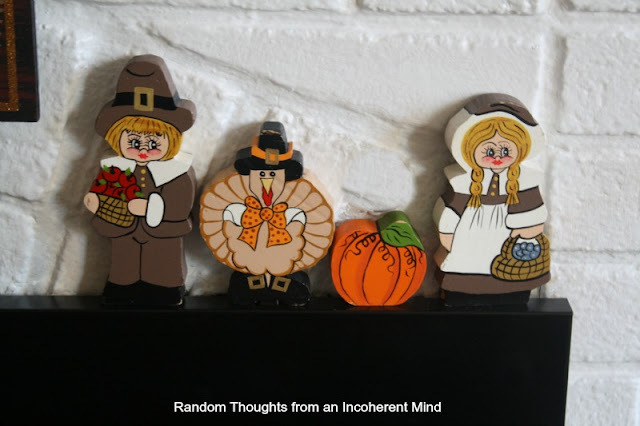 to have these small Thanksgiving related pieces. 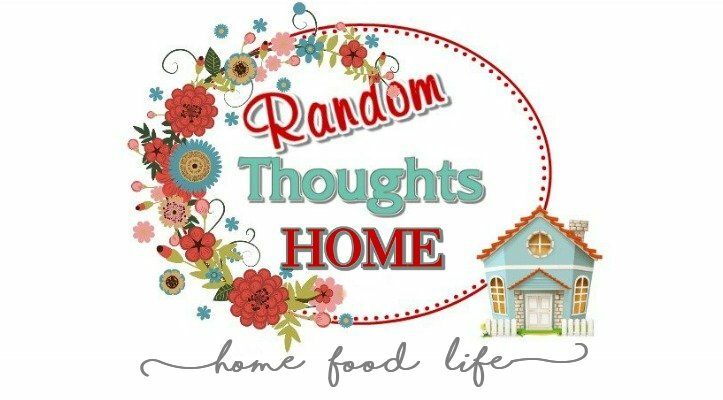 Thanksgiving decor for sale anywhere. I have always placed them on the fireplace as shown. This year, however, I left the characters in the box. so I thought I would just pack them away. Johnny: Why aren't those wooden pilgrims on the mantel? Me: I wasn't going to put them out this year; I'm not really crazy about them. Johnny: But they belong on the mantel like always. Me: Ok, I'll go get them. and onto the mantel, like always. Far be it from me to mess with like always. Surprised how much they remember as "always". They look cute on their own on the door. I do really like the other ones. I know what you mean, the little pilgrims are "cutesy" like everything was about 19 years ago. But your son thinks they are tradition. How sweet. The mantel looks great. That's such a cute story. Your mantel looks beautiful all dressed up for Thanksgiving. How precious that he wanted the Pilgrim set out! Your mantel looks wonderful! I love Thanksgiving too! Such a cute story from your son, your mantel looks great. I just have it very simple with pumpkins, just took down some Halloween things though. That's precious............and the Like Always becomes their memories and they take them with them for THEIR familes and so it continues. Gives me a lump in my throat. They really and truly DO pay attention, Gina, don't they? One should never mess with "like always." By the way-they are really cute. Ya never know what they latch on to!!! "like always" is important!!! Oh, how sweet, forever and ever your little wooden figures will be on the mantle! And that's what Thanksgiving is about. When I started reading how they weren't any longer in your favor I thought "Well, let me wait a few years and she'll bring them back when the grands start participating". This way you kept something that reminds your son of all the times he has been Thankful. Can't find a better reason to decor for Thansgiving than that. I love the first couple of Pilgrims and absolutely adore this years' Mantel. "Affection is responsible for nine-tenths of whatever solid and durable happiness there is in our lives. Gina, it looks sooo pretty! The pilgrims are so pretty! You have done an excellent job with your Thanksgiving mantle! In love with those pumpkin topiaries. So adorable!! Kids will help us keep life in perspective. Your mantle looks beautiful and festive,isn't it great when you can use what you have? No dollars spent, love it! they do belong on the mantel! Looks nice! The Thanksgiving people are a family tradition too! Your mantel is lovely, Gina. As our children grew, I too opted for a more sophistcated and less child like transition. But...now that the "Grands" are here...the kid stuff is creeping out once more! How sweet is your Johnny! "Always"
Awww...Having adult children now, it is really something the things they remember and make their part of their tradition. Your mantel look wonderful! After I started out so good on mantel decorating at the beginning of the year, I have failed miserably in the second half. Maybe I need to chant "if Gina can do it so can I"? 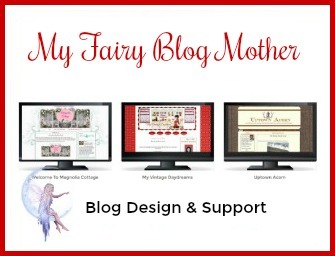 I know sometimes our styles change, but it's those little things our kids remember that bring a lot of sweet memories. Well first, I love your mantel and the new pilgrim couple. BUT, I love the story of "like always" and the whimsical characters too. It's special and I'm so glad you pulled them out of the box. Kids remember the little things, don't they ?! Love how the mantel turned out too. You're all ready for turkey day! 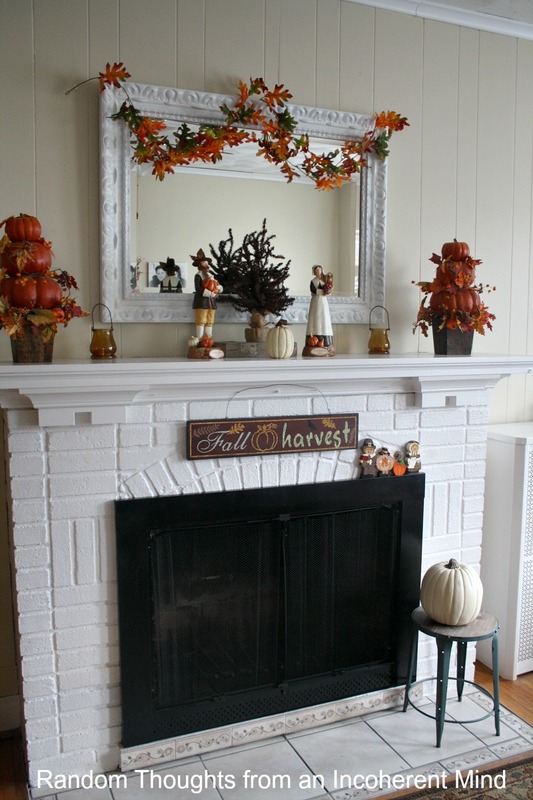 Oh wow,you really did a pretty Thanksgiving mantel. My Christmas one is partially up LOL...I told you I was one of those people. 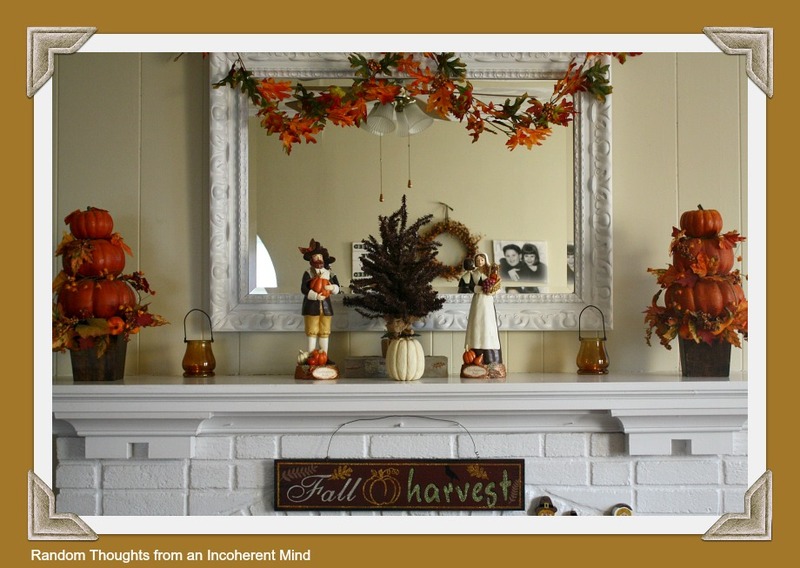 They look right at home...like always :-) love your Thanksgiving mantel.